The 34 year old veteran ain’t done yet! Former Detroit Red Wings, Toronto Maple Leafs, Vancouver Canucks and Florida Panthers winger David Booth is attempting yet another comeback, signing with Dinamo Minsk of the KHL. 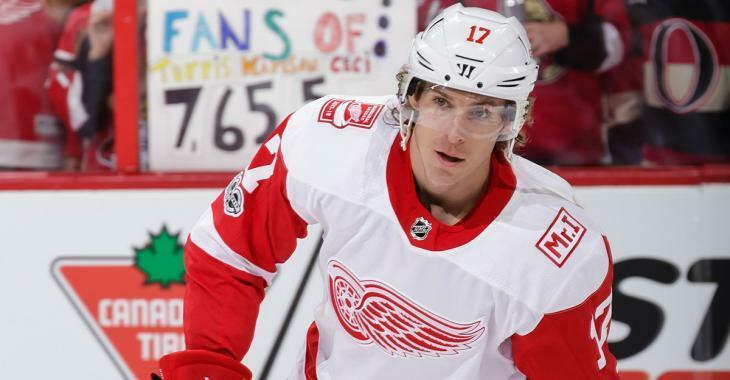 David Booth is joining Dinamo Minsk of the KHL. Likely on a one-year deal. The veteran of 530 NHL games played last season with the Red Wings, but was unable to secure a contract this past offseason. In 28 games with the Wings last year, Booth scored four goals and five points.